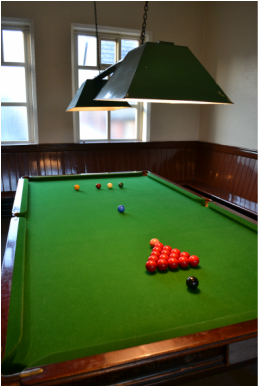 At Hillsborough Trinity Methodist Church we have a snooker room with one, ¾ size snooker table. Every Wednesday between 1pm - 3pm the snooker room is open for £1 per hour. A good range of snooker cues are available. There is also a group that meet most Wednesday evenings during the church snooker season. The group is part of the Sheffield Church snooker league. New members welcomed. Please phone or email first using the contact below, as they are sometimes out playing matches at other churches.